About Ketan | So, You Think You Can Teach ESL? My name is Ketan Hein. I grew up in Lincoln, Nebraska. I have one amazing brother and four sisters (all younger), and two wonderful and loving parents. I graduated from Concordia University in Seward, Nebraska in 2008 with a BA in Psychology. I earned a TESOL certification from the American TESOL Institute. I am a member of KOTESOL organization. In December 2009, I taught at Avalon English Academy in Andong, South Korea. In January 2014, I taught for Korea Poly School in Daegu, South Korea. In August 2014, I taught at Yeil International English School in Ilsan, South Korea. In June 2015, I moved to Seoul, and now teach at a kindergarten and elementary ESL academy called Circle College English Academy. I’ve taught a variety of subjects such as math, science, social studies, grammar, reading, and debate. 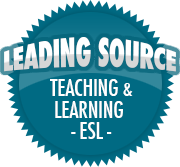 In addition to teaching children, I also have experience teaching adult ESL learners. readings books and comics – Haruki Murakami, JRR Tolkien, and Khaled Hosseini are among my favorite authors. Thank you for reading my blog! Any advice you have about my writing, content, ESL, or education, please comment or send an email. Heya! OK, so I stumbled across you via Harsh Reality’s blog! LOL! You have a very interesting blog too! I shall be following you! Thanks, and I shall follow you in return! Haha! Keep on blogging! Awww reciprocity! I like, I like! Nebraska! thats where Penny was from! you know Penny from the big bang theory, played by Kaley Cuoco? anyway thanks for checking out my blog and i figured i’d check yours out too. By the way very informative stuff you go here ^__^ glad you’re into Anime too. Thank you so much for stopping by and follow my blog. It is a great honor. looking forward to read you great stuff 🙂 Blessing. Glad you found my blog, so I could find yours! I think we were meant to be, because we both have degrees in psychology and now teach ESL. I went on to get a degree in that too. I also taught in Asia for a few years (China). So, I think it’s great that we found each other’s blogs! Looking forward to reading future posts. Sweet! I’ve been teaching here in Korea for four years and am looking to teach in Taiwan next year. I’m looking forward to reading more of your stuff too. You’re in Andong? I went for the Mask Festival last fall, so much fun! It is a fun festival. Are you coming this year? I go home in a few weeks, then to figure out what next. I may come back, but at the same time, I’d also like to do a working holiday in either Australia or the UK. Ok. You can always come back to visit. I’ve had friends who taught in Korea for a year, left and came back to teach a year or so later. Thanks for checking out my blog and sharing! I’m always happy to connect with other ESL teachers, worldwide. I lived in Omaha as a toddler. Thank you for liking my blog, English Manual: letter by letter. I try to include photos of plants, animals, and landscape features as well as a little information about English. It is good to hear your first-hand experiences, teaching overseas. Thanks for stopping by to see my blog, pursuitofhobbiness. Your work seems so adventurous. I’ll have to keep up on your future posts. Thanks for commenting! I hope you enjoy reading my blog. Thanks for stopping by my blog… especially so I could find yours! I’m impressed by your teaching ESL. Hats off to you. That’s not easy! Keep blogging! And thanks again. Thanks for commenting! Teaching is hard and it gets hard to find time to write about it, too. I’ll be checking your blog out and am excited to see what you have. Thanks for sharing, Ketan! I stumbled across your blog too while researching about hagwons vs. public schools. (I’m a Psych major, too!) I’m leaning towards teaching at a hagwon in spite of the horror stories I’ve read. Hopefully I will be living in SoKo in February! Sweet! If you have any questions about working or living in South Korea, don’t hesitate to ask me via email or on Facebook. Great blog! I am teaching my first year of ESL in Turkey so your blog is very useful, I will be following!! I am also beginning to look for jobs in South Korea starting in August, hopefully I’ll get there! Thanks! I’m glad it helps someone, haha! Feel free to ask me any questions or make comments! In always happy to help other teachers out. Hey Ketan/Martin, what differences between the two schools make teaching at the Poly School more enjoyable for you? Sorry for the late response. I enjoyed working at Poly a lot due to the level of the students’ comprehension and speaking skills. I also had a great curriculum to work with, and wonderful coteachers! My new school, Yeil Christian International School, is about the same as Poly, but I have more responsibilities here. It’s closer to an American-style school, where at Poly was a kindergarten. Thanks so much for the “like.” You’re having a very cool career. Thanks for the compliment! I really appreciate it. Thanks for reblogging my post about working with parents. You remind me that parents of English learners are another distinct category of people who deserve a whole different communication approach. I’ll have to think about that for another post in the future! Thank you for you’re comment. I hope my site will help you find new resources, information and connect with other teachers! Please change your address in your KOTESOL profile to your new address in order to continue to receive your KOTESOL publications. I will do that thanks. Congratulations on your career. My daughter is interested in becoming an ESL teacher. I’m going to let her read your blog! Good to connect. Let’s think about some ways to cross share ideas. you for your comment on my blog. I would like to stay in contact and maybe we can network together. I am in San Diego, where are you? You’re welcome! I’d love to work together too occasionally. I’m in South Korea.